This program will present a selection of Ira Schneider’s early video work (and a few samples of late 16mm film) as well as more recent moving image experiments and newly transferred and edited work from the late 60s. 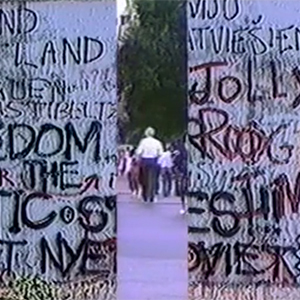 Works range from formal experimentation to documents of the early video art scene in NYC. The artist will give short notes and impressions on some of the pieces. Curator Liz Flyntz will introduce Ira and lead discussion after the program. Ira is one of the very first video artists. He was a member of the seminal late 60s and early 70s video and communications group or “thinktank�? Raindance, as well as one of the co-originators and co-editors of Radical Software, the first publication devoted to video. He co-edited one of the first books on video art with Beryl Korot, titled Video Art: An Anthology. Liz Flyntz is a curator, designer, and writer who lives in Brooklyn. She recently curated an exhibition of video works discussed in Radical Software, the first periodical dedicated to video. She writes about media art history and net-based art, and is currently researching the history of time capsules.